Reb Bradley, author of the political book, BORN LIBERAL RAISED RIGHT, will be stopping off at Scribe Vibe on day 12 of his virtual book tour with Pump Up Your Book Promotion! Undisciplined, self-worshiping kids grow into liberals driven by the same narcissistic, overemotional “I-want-it-now” worldview they had as toddlers, with the results we see today. As Born Liberal, Raised Right proves, these are just the kinds of delusions that our nation can no longer afford to indulge. BORN LIBERAL RAISED RIGHT VIRTUAL BOOK TOUR ‘08 will officially begin on Dec. 1, 2008 and end on Dec. 23, 2008. You can visit Reb’s tour stops at www.virtualbooktours.wordpress.com in December to find out where else he’ll be touring! Leave a comment at any one of his tour stops and you could win a FREE virtual book tour if you are a published author or a $50 Amazon gift certificate if you are not published! Kelly Epperson, author of the humor book, WHEN LIFE STINKS IT’S TIME TO WASH THE GYM CLOTHES, will be stopping off at As the Pages Turn on Day 12 of her virtual book tour with Pump Up Your Book Promotion! When Life Stinks, It’s Time to Wash the Gym Clothes is a collection of her newspaper columns and no topic is taboo. From the “Job Hazards of Parenting” to “Mysteries of IQ Testing Revealed” to “The Scary, Hairy French Doctor,” you’ll share a hearty laugh as Kelly’s conversational style makes you feel you are a part of the happenings. She also grabs your heart with poignant tales of walking the D-day landing beaches, Grandma O, and her reflections as the days in France come to a close. WHEN LIFE STINKS VIRTUAL BOOK TOUR ‘08 will officially begin on Dec. 1, 2008 and end on Dec. 23, 2008. You can visit Kelly’s tour stops at www.virtualbooktours.wordpress.com in December to find out where else she’ll be touring! Leave a comment at any one of her tour stops and you could win a FREE virtual book tour if you are a published author or a $50 Amazon gift certificate if you are not published! D. Barkley Briggs, author of the young adult novel, THE BOOK OF NAMES, will be stopping off at Divine Caroline on Day 10 of his virtual book tour with Pump Up Your Book Promotion! It was supposed to be a routine Thanksgiving break. But when Hadyn and Ewan Barlow discover an ancient Viking runestone buried on their family farm, they unwittingly open a magical portal to another world. Fleeing grief and broken dreams over the loss of their mother, the two brothers find themselves hailed as Champions in the Kingdom of Karac Tor. But all is not well. Nemesia the witch is releasing shadows over the whole land. Names are being stolen from The Book of Names, the most sacred relic of the kingdom. Before long, the Barlows realize they must find the courage to fight, or they will never find their way home. There’s one problem: even if they win, will anyone know how to send them back? THE BOOK OF NAMES VIRTUAL BOOK TOUR ‘08 will officially begin on Dec. 1, 2008 and end on Dec. 23, 2008. You can visit Dean’s tour stops at www.virtualbooktours.wordpress.com in December to find out where else he’ll be touring! Marta Stephens, author of the crime mystery suspense novel, THE DEVIL CAN WAIT, will be stopping off at Fiction Scribe and Joylene Nowell Butler on Day One of her virtual book tour with Pump Up Your Book Promotion. The city of Chandler, Massachusetts is plunged into terror when the bodies of three local teenagers wash ashore. While homicide detective Sam Harper hunts down the guilty, a sinister plot emerges overseas. From the Vatican to the jungles of South America, a cursed black pearl ring, the demonic prophecy it represents, and the men who pursue its powers find their unfortunate way onto Harper’s turf. 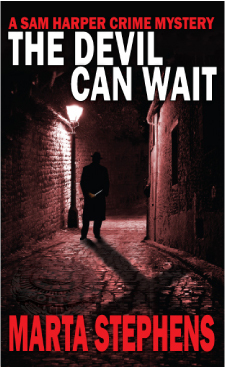 THE DEVIL CAN WAIT VIRTUAL BOOK TOUR ‘08 will officially begin on Dec. 1, 2008 and end on Dec. 23, 2008. You can visit Marta’s tour stops at www.virtualbooktours.wordpress.com in December to find out where else she’ll be touring! William Petrick, author of the contemporary fiction novel, THE FIVE LOST DAYS, will be stopping off at If Books Could Talk on Day One of his virtual book tour with Pump Up Your Book Promotion. Struggling documentary producer Michael Burns has traveled to the remote Maya Mountains of Belize to capture exclusive footage of the last surviving curandero. The traditional Mayan healer may hold the key to discovering new medicines among the vast, uncharted flora of the rain forest. But with a violent civil war spilling across the border from neighboring Guatemala – and Burns inexplicably drawn to the aging curandero’s American apprentice – the filmmakers stumble into a more explosive story than they ever could have imagined. At once an adventure and an exploration into the nature of perception, THE FIVE LOST DAYS exposes the clash between modern culture and ancient beliefs. 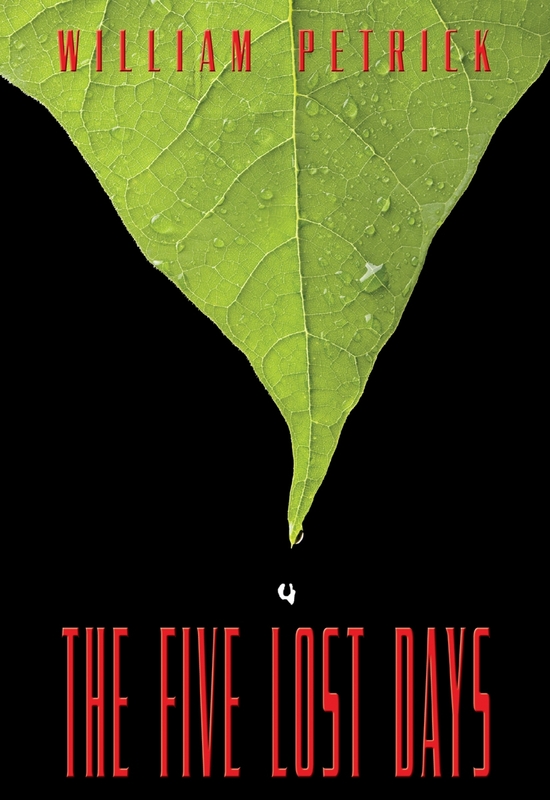 THE FIVE LOST DAYS VIRTUAL BOOK TOUR ‘08 will officially begin on Dec. 1, 2008 and end on Dec. 23, 2008. You can visit William’s tour stops at www.virtualbooktours.wordpress.com in December to find out where else he’ll be touring! J.L. 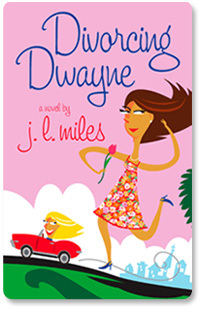 Miles, author of the hilarious women’s fiction/chick lit book, DIVORCING DWAYNE, will be stopping off at Cafe of Dreams on Day One of her virtual book tour with Pump Up Your Book Promotion! Francine Harper’s in the Pickville Springs County Jail facing felony assault charges. Her offense? She shot at her husband, Dwayne, and his lover, Carla, after catching them together— in the very bed her daddy had carved and given to Francine and Dwayne on their wedding day. Even though she hit the bed and missed the lovers, she soon learns she’s committed a felony, and the deputy district attorney—who’s never been fond of her since she jilted his brother—is determined to prosecute her to the fullest extent of the law. DIVORCING DWAYNE VIRTUAL BOOK TOUR ‘08 will officially begin on Dec. 1, 2008 and end on Dec. 23, 2008. You can visit J.L.’s tour stops at www.virtualbooktours.wordpress.com in December to find out where else she’ll be touring! Jenny McGill, author of the memoir, DRAMA & DIPLOMACY: IN SULTRY PUERTO VALLART, will be stopping off at Book Excerpts from Bestselling Authors on Day One of her virtual book tour with Pump Up Your Book Promotion. The non-fiction account begins in 1954 when an eager to see the world young woman looks for a path to explore. Although the American flag is given the highest respect, diplomacy takes on a new meaning as the author slips and slides through the darker side of consular work on foreign soil. 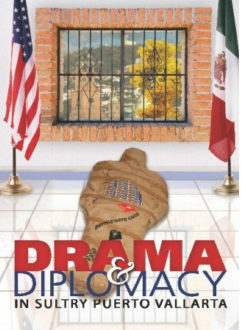 DRAMA & DIPLOMACY VIRTUAL BOOK TOUR ‘08 will officially begin on Dec. 1, 2008 and end on Dec. 23, 2008. You can visit Jenny’s tour stops at www.virtualbooktours.wordpress.com in December to find out where else she’ll be touring!